Need a fun fruit platter idea for Christmas morning or a healthier display for a holiday party? 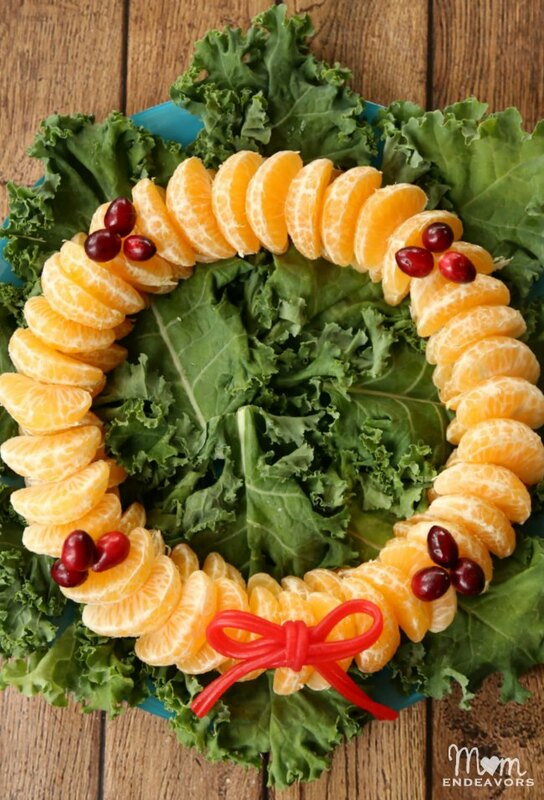 This edible orange cranberry wreath is easy to put together and perfect for any Christmas food spreads! Oranges are one of our favorite fruits during the holiday season (while citrus is in season). And, even though we have a backyard with three orange trees, we just can’t resist the little easy-to-eat and easy-to-peel mandarin oranges. 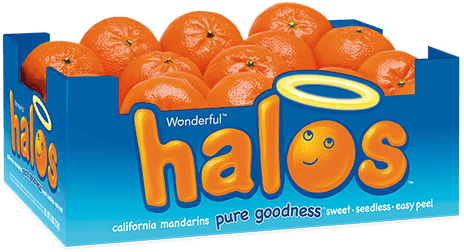 So, I was thrilled to partner with Halos for another year on a sponsored #HalosFun edible creation. 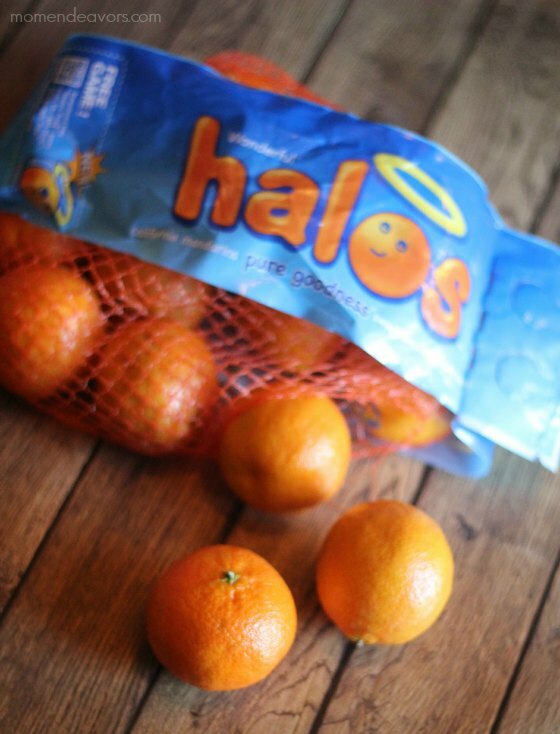 We have a plate full of these tasty little oranges every Christmas morning! They are just SO good and so easy to eat! 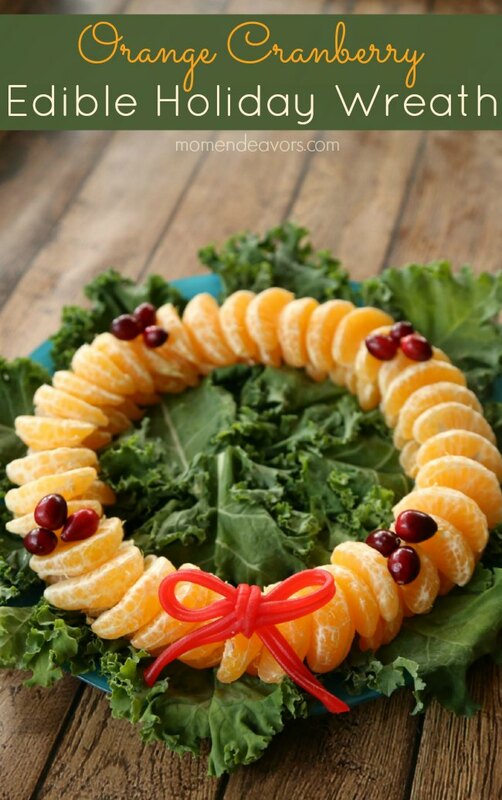 But, instead of just putting them on a tray, you can make the oranges a bit more festive by turning it into a holiday wreath. To do this, I started by lining a large, round dinner plate with fresh greens (I used kale, but anything green & leafy would look nice). Then, I started peeling and segmenting the oranges. I put the segments down in one circular ring, but something looked off. So, for additional depth (and more wreath-like look), I doubled up the amount of oranges. Placing that second layer of orange segments made a big difference in the look! Really, you could embellish with anything you like. But, given the holiday season, I thought cranberries would pair well. I put a few on in little groups of three (somewhat reminiscent of holly berries on wreaths) and then I decided to add a holiday bow. I made that out of pull-apart licorice just for something a little fun (a fruit roll-up would work well too! I love the way it turned out –a festive, fun platter for sure! 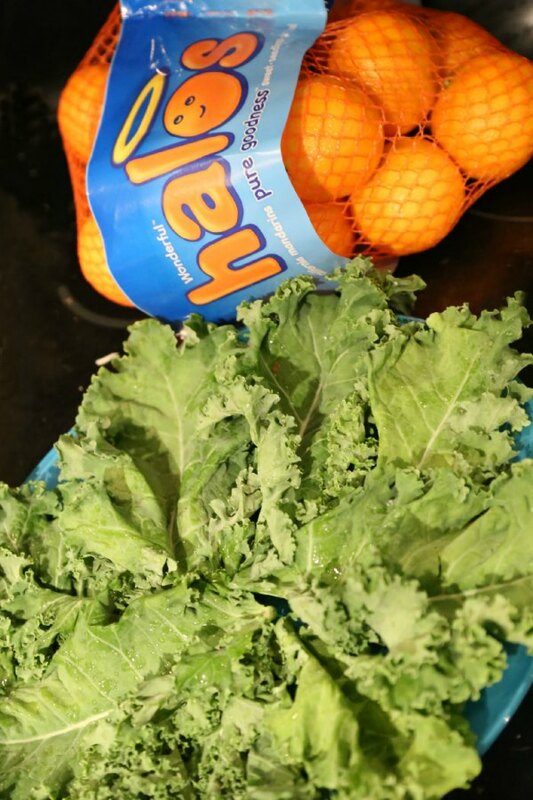 For even more tasty orange ideas, be sure to check out our orange snowman snack, tropical orange smoothie, cranberry-orange muffins, this fun orange Christmas tree, and then check out more ideas directly from Halos!